With 15 years, 6 platinum-plus albums and as many Grammys under their collective belt, the Foo Fighters now mark off yet another milestone in their ascension to quintessential American rock royalty, an eagerly awaited Greatest Hits package. 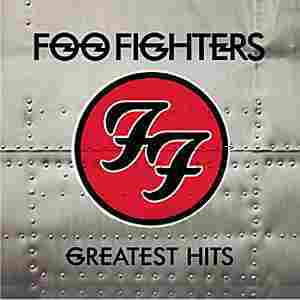 Foo Fighters Greatest Hits will feature two brand new tracks; Wheels which made its live debut at President Obama and the USO's July 4 bbq at the White House honoring military heroes, and Word Forward, both recorded especially for this collection at the band's own fabled 606 studio complex with producer Butch Vig. The new tracks not only hold their own alongside individual Grammy winners The Pretender, All My Life and Learn To Fly and perennial Foo favorites Best Of You, Times Like These, My Hero, Everlong and more, but they perfectly round out an overview of the Foo Fighters' illustrious output to date and hint at what's yet to come.